Services are scheduled for 10 a.m. Tuesday, Nov. 27, at Our Lady of Grace Catholic Church in Artesia for Francisco “Frankie” Rede Perez of Lubbock, Texas. 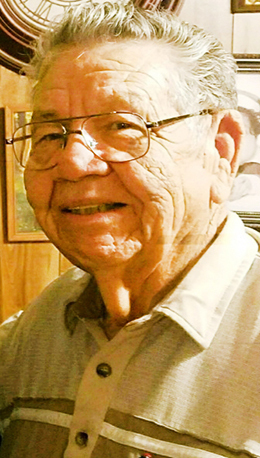 Perez, 80, passed away Tuesday, Nov. 20, 2018, at his home. Fr. Vijay will officiate the services, with interment to follow at Woodbine Cemetery. Pallbearers will be Rogelio “Tinni” Ortiz, Joe Mata, Tony Perez Jr., Dino Perez Jr. and Michael Perez. Visitation will be held from noon – 6 p.m. Monday at Terpening & Son Mortuary. Francisco was born June 3, 1938, in Artesia, the son of Lorenzo and Francisca (Rede) Perez. On Jan. 1, 1967, he married Augustina Ortiz in El Paso, Texas. Frankie was an equipment operator with Lubbock Power and Light and a member of Our Lady of Grace Catholic Church in Lubbock. He enjoyed spending time with his grandchildren, playing Bingo, and visiting with family. Survivors include son Danny Perez and wife Veronica of Albuquerque; daughters Barbara Valenzuela and husband Oscar, and Susie Gonzales and husband Emilio, both of Artesia, and Thelma Cruz and husband Carlos of Lubbock; brothers Dionysio Perez and wife Ophelia of Atwater, Calif., Luz Perez and wife Josefina of Tucson, Ariz., and Lewis Perez of Hobbs; sisters Mary Sanchez and husband Leno of Artesia, and Toni Moreno of Rangely, Colo.; 15 grandchildren; 33 great-grandchildren; four great-great-grandchildren; and numerous nieces and nephews. He was preceded in death by his wife, Augustina Perez, on May 15, 2018; his parents; brothers Manuel Perez, Apolonio Perez and Jose Perez; and sisters-in-law Juanita Perez, Gloria Perez and Delia Perez.